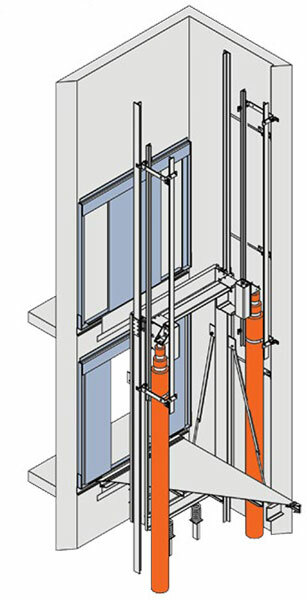 This design utilizes two hydraulic jacks and provides maximum structural stability. The telescopic jacks are located on each side of the car. 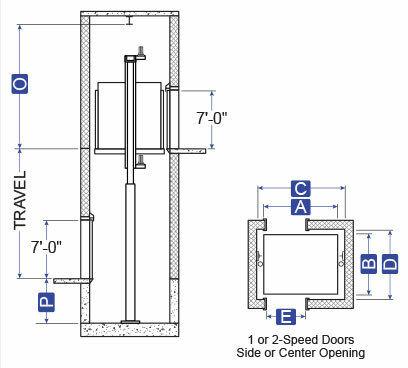 Minimum of 12′ -8″ overhead required for 30′ -6″ of travel and under. 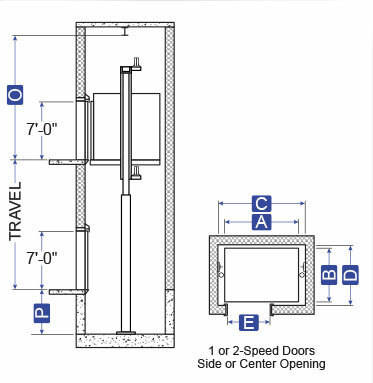 Add 11/32” to 12′ -8″ for every additional 1″ of travel over 30′ -6″.